There are a wealth of benefits that are associated with breαstfeeding. In addition to bonding with the baby and providing it nutritional health, you quickly lose that “baby fat” acquired from pregnancy. Although African-American women breαstfeed less than any other race, the percentage of African-American women breαstfeeding today is nearly 55 percent, in comparison to just 35 percent in the 70s. 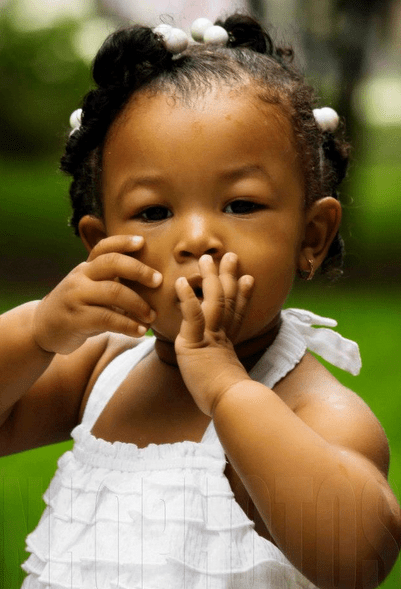 The U.S. Department of Health and Human Services (HHS) launched “It’s Only Natural” this week, which is a new national public education campaign aiming to provide more backup and boost awareness among African-American women of breαstfeeding’s importance and associated benefits. HHS will provide the women with tips, practical information, emotional support from peers and education on breαstfeeding’s’ benefits and how it fits into daily life. The information is relayed in video testimonials, myth-busting education, radio spots, fact sheets and more. High-risk neonatal registered nurse and lactation specialist Cheryl Lloyd at the University of Mississippi Medical Center’s (UMC) Weiser Hospital for Women and Infants says understanding the process does not happen overnight. “It takes a little bit of time. It’s a process,” Lloyd said. “Breαstfeeding doesn’t always just happen overnight,” with habits to learn, growth spurt changes and other things expected down the line. A cultural background in breastfeeding is a key ingredient for comfort in new moms, Lloyd noted. Not all new moms come armed with that; some even face family barriers to breαstfeeding. “You’re not just giving the infant a good start. You are giving this baby benefits for a lifetime,” said Lloyd, who is also president of the Mississippi Breαstfeeding Coalition. It’s not a guarantee, but research shows in comparison with formula-fed babies, breαstfed babies have fewer doctor visits, hospitalizations, less upper respiratory problems and more, she added.